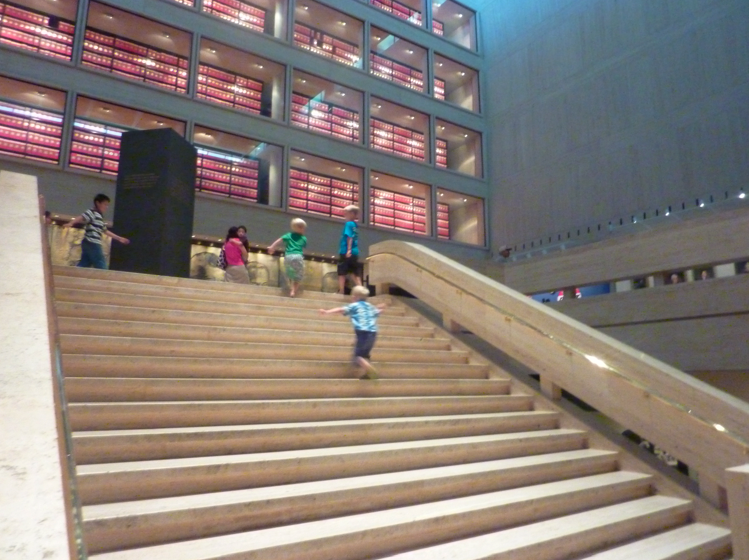 Update: The LBJ Library and Museum now charges admission for visitors ages 13 and up. Children 12 and under, active duty military, UT students and faculty with ID, and student groups with reservations can still visit for free. Parking is free. Go here for the current admission fees. 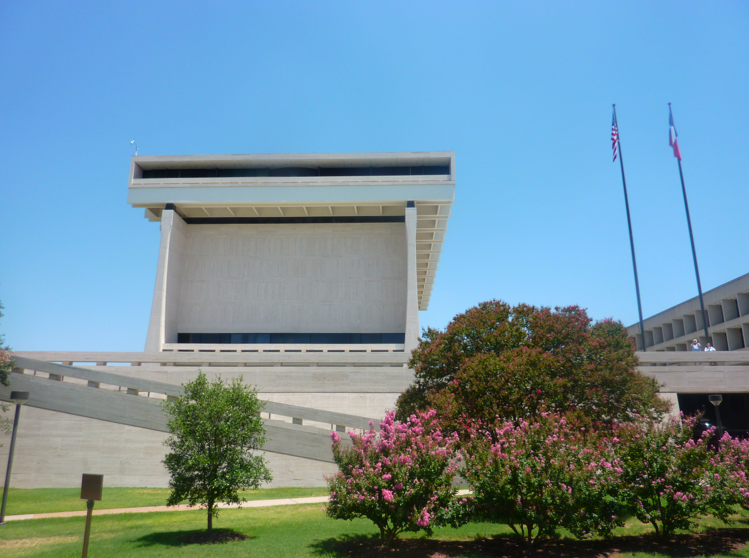 The Lyndon Baines Johnson Library and Museum on the UT campus is one of thirteen presidential libraries across the country. Open from 9 a.m. to 5 p.m. every day except Thanksgiving, Christmas, and New Year’s Day, you can visit and park in a nearby lot at no charge. I’ve been meaning to go for ages, so I finally took my three boys over there yesterday to check it out. Trying to climb under the staircase. Chasing each other up the steps. Listening with fun cone earpieces. Look, Ma! One for each ear! Oh my – a gun. Now that is worth stopping for. 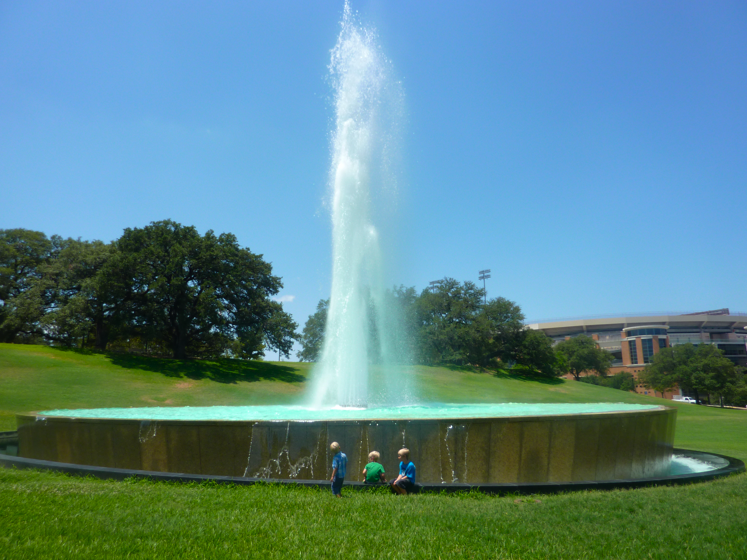 Fortunately for me, the volunteers and staff at the LBJ Library and Museum were very kind and not concerned by energetic boys. 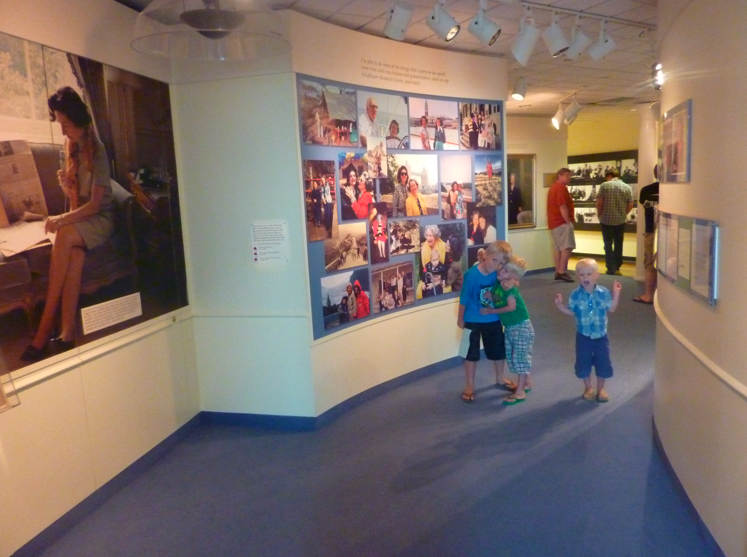 I just found myself wishing that the kids would slow down so I could read more of the information in the exhibits. It really is an interesting museum. 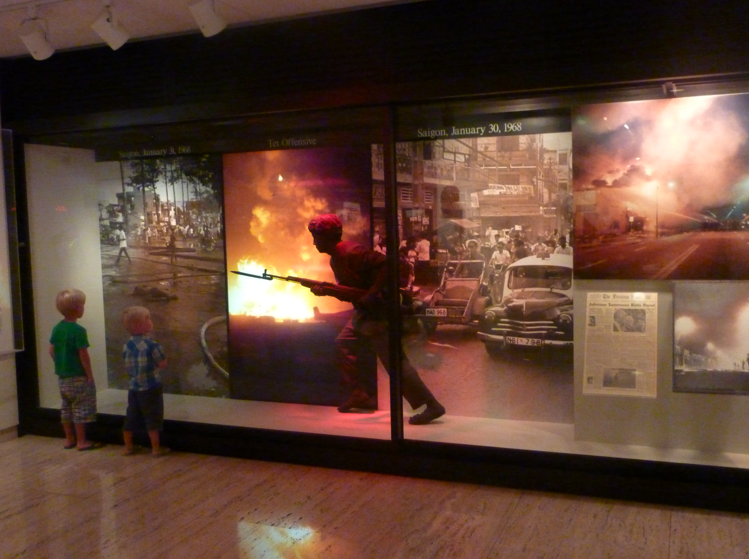 Three of the ten floors are devoted to exhibits, which chronicle the life and career of Lyndon Johnson, as well as the history of the United States during those periods. 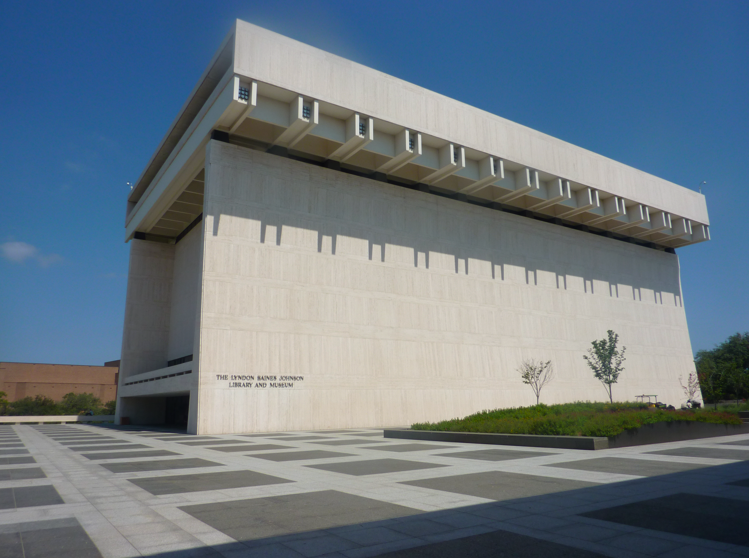 The tenth floor features his presidency, and the significant role that his wife, Lady Bird Johnson, played. 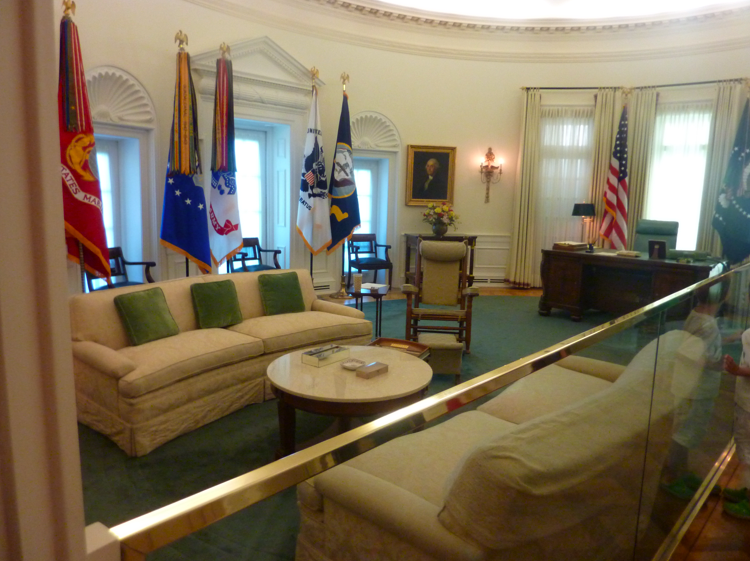 There are replicas of Lady Bird’s office, and the Oval Office, as it looked during LBJ’s presidency. 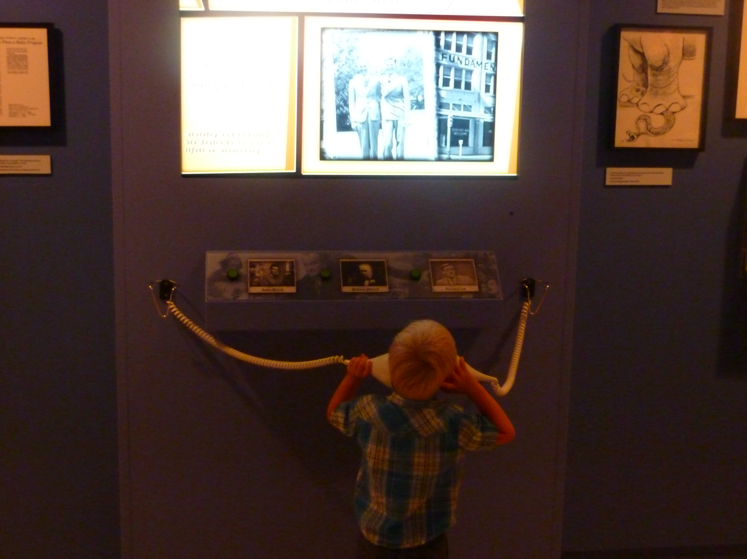 Visitors can enjoy audio explanations throughout the Museum, which are available at the touch of a button. We got to hear the beginnings of all of them, because boys are big fans of pressing buttons. 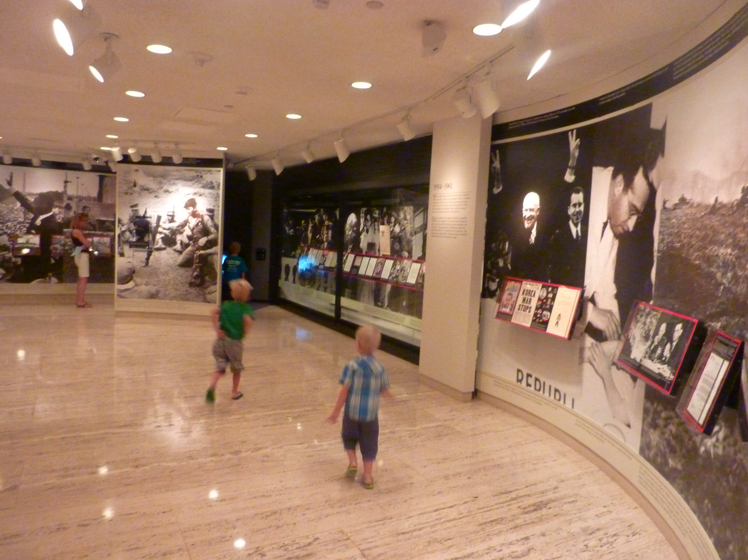 Kids like movies too, so the film about Lyndon Johnson’s life, shown on the third floor Orientation Theatre, was also a big hit. 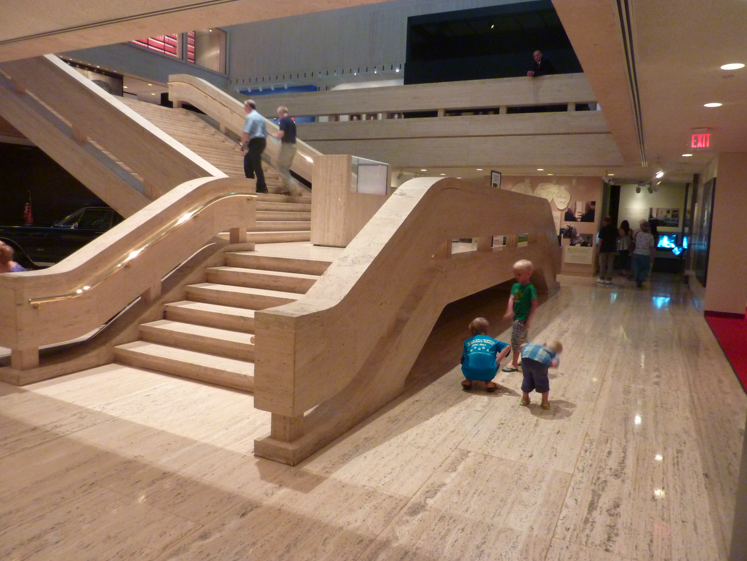 Overall, I’d say the Museum is a great place for older children. 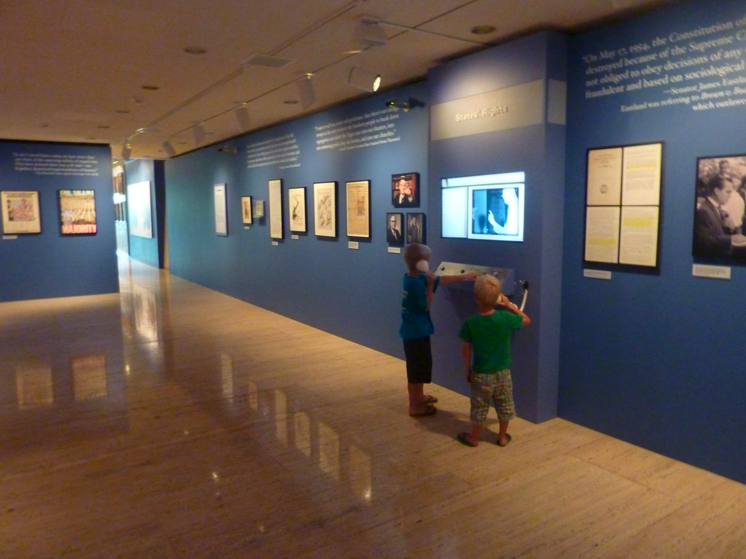 If you plan to visit with kids, check out the LBJ Library and Museum Kids Page to get them excited about all things LBJ. He really did lead a fascinating life.